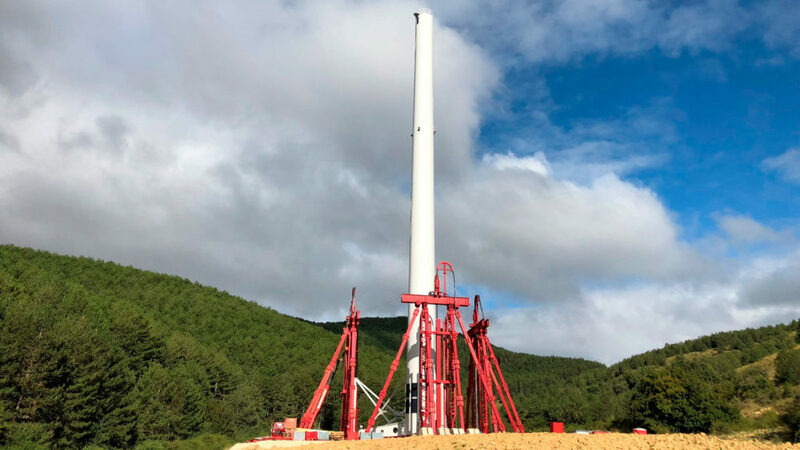 Nabrawind Self Erecting Tower (Nabralift) is a new wind turbine tower technology that breaks all the barriers that are restraining the growth of the wind turbines hub height. 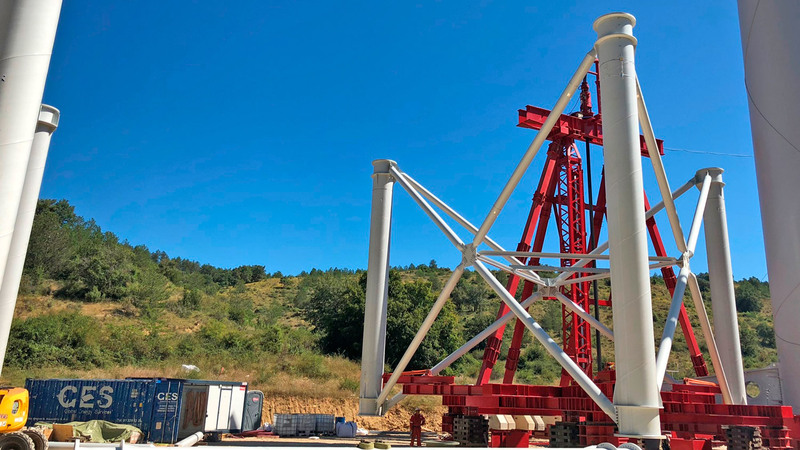 Nabralift consists on a three-columns structure installed under the uppermost part of a WTG tubular tower and integrates a Self-Erection System (SES) that allows the installation of a full WTG (tower, nacelle, rotor) without using large-size cranes regardless of the final hub-height. 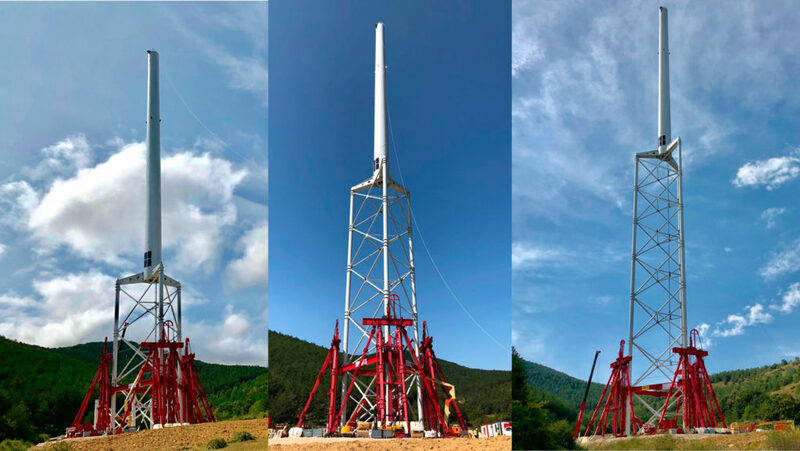 Nabrawind Self Erecting Tower (Nabralift) is a new wind turbine tower technology that break all the barriers that are restraining the growth of the wind turbines hub height. 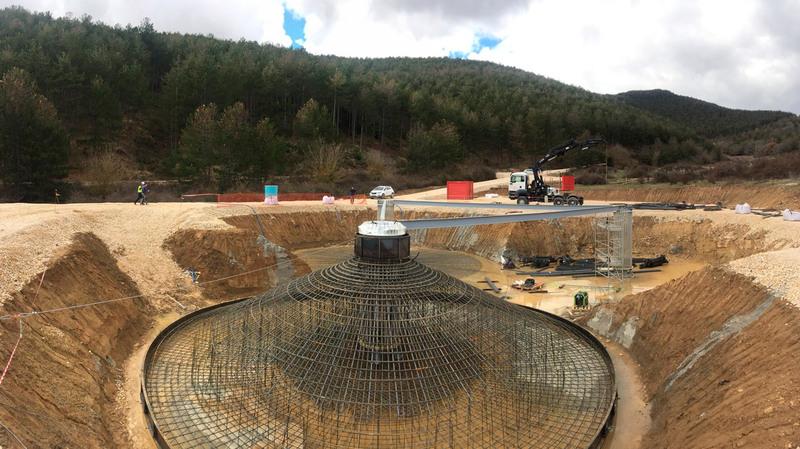 Nabralift consists on a three-columns structure installed under the uppermost part of a WTG tubular tower and integrates a Self-Erection System (SES) that allows the installation of a full WTG (tower, nacelle, rotor) without using large-size cranes regardless of the final hub-height. 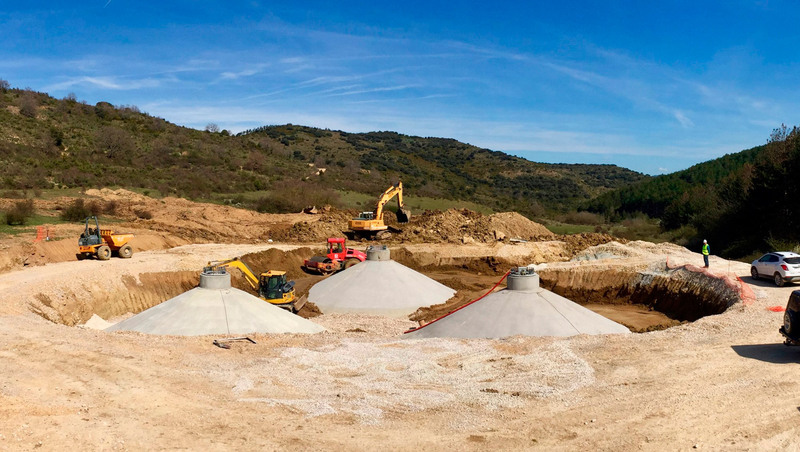 Tower manufacturing, transportation and installation costs increase significantly, making additional hub height increase unprofitable in many cases. 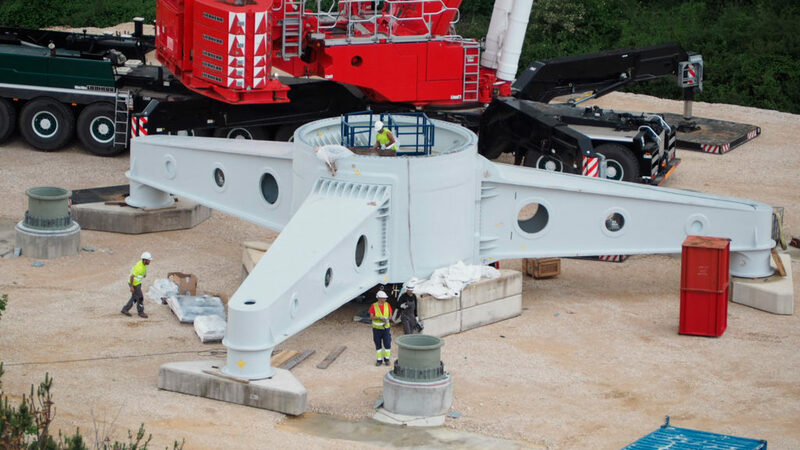 Massive and expensive cranes are needed, with long assembly and disassembly times. Logistic barriers can make some locations unreachable for the projects, and the need of special equipment increases costs and project duration. Resonances between the tower and the turning rotor becomes a design-driver on conventional steel towers, increasing the tower loads and cost and requiring special control techniques. An upper metallic tubular tower segment larger than the blade, so that blade tip clearance is unaffected. 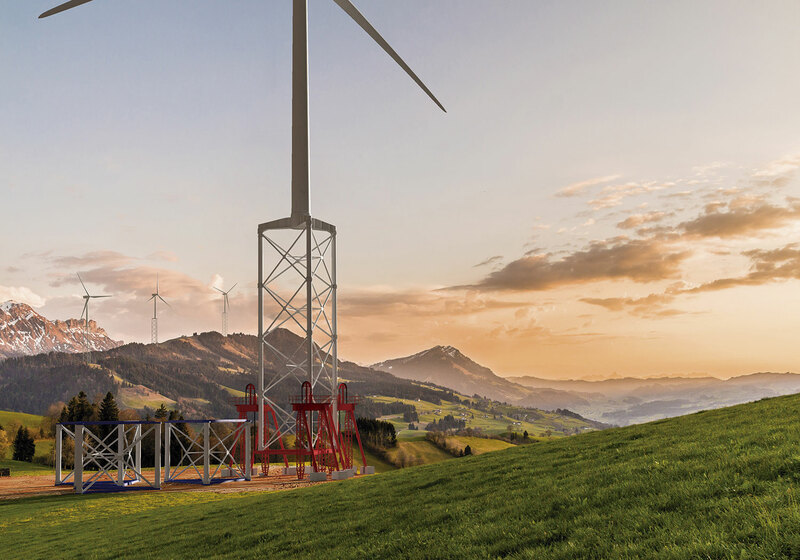 A straight frame tower segment constituted by several modules of uniform height, composed by three vertical columns and a x-type bracing in the three module sides. 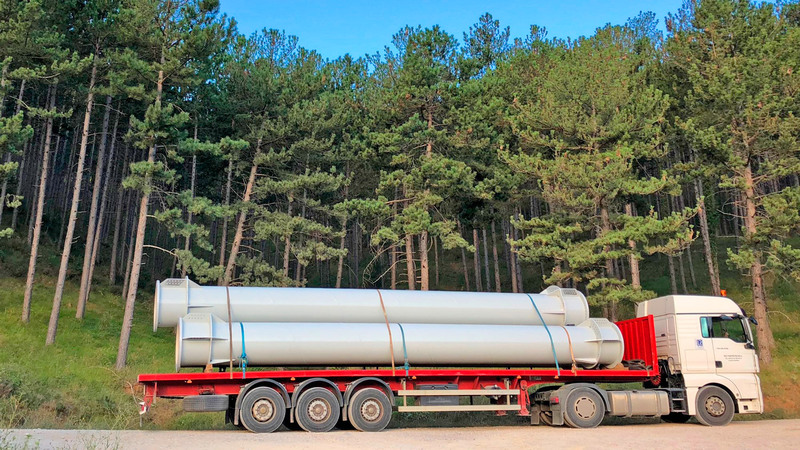 A metallic transition part between the upper tubular tower segment and the frame tower segment. 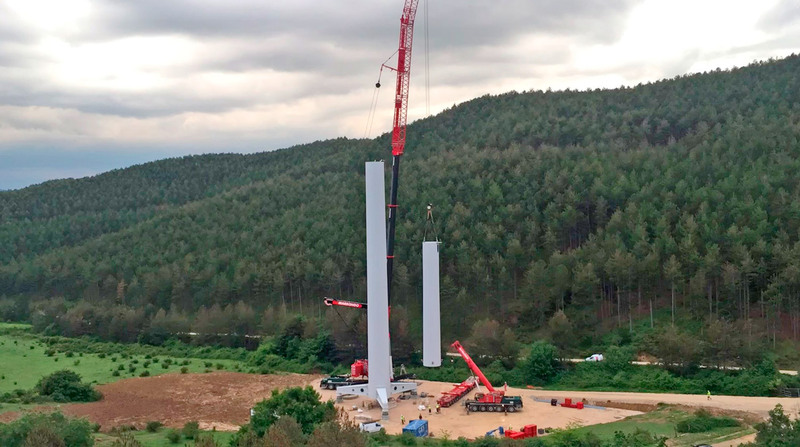 Nabralift integrates a Self-Erecting System (SES) that allows the installation of a full WTG (tower, nacelle, rotor) without using large-size cranes regardless of the final hub-height. 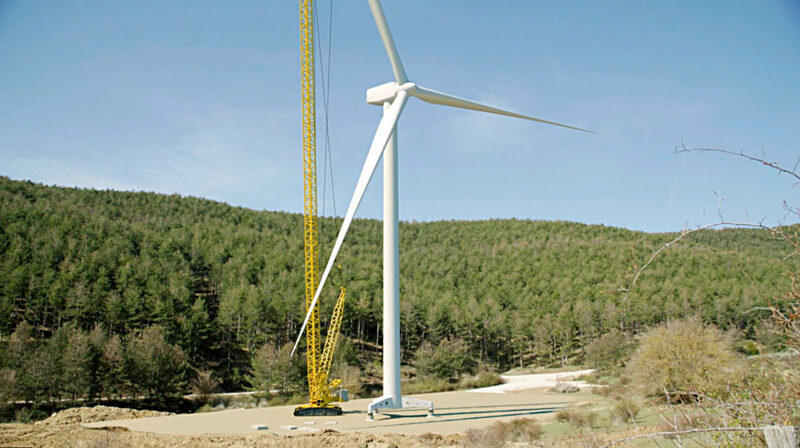 For this purpose, the SES is able to hoist the WTG in intermediate stages and install tower sections under it. 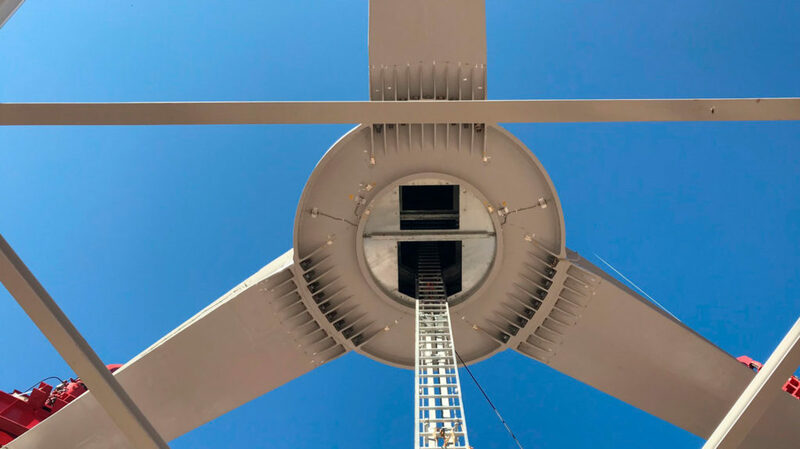 Nabralift integrates a Self-Erecting System (SES) that allows the installation of a full WTG (tower, nacelle, rotor) without using large-size cranes regardless of the nal hub-height. 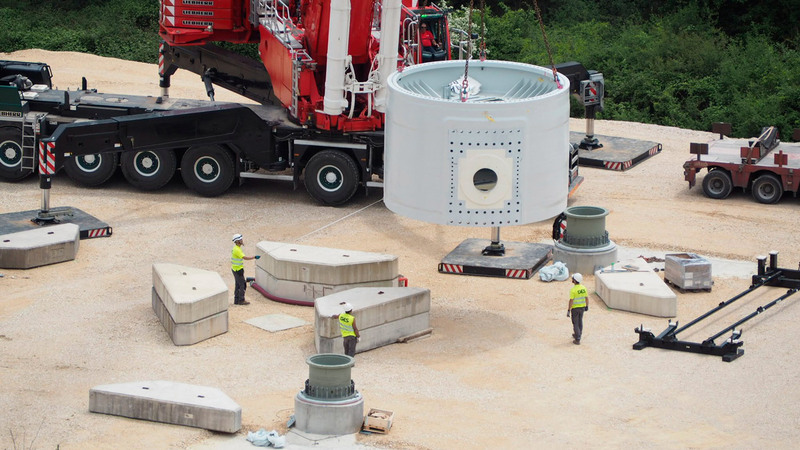 For this purpose, the SES is able to hoist the WTG in intermediate stages and install tower sections under it. 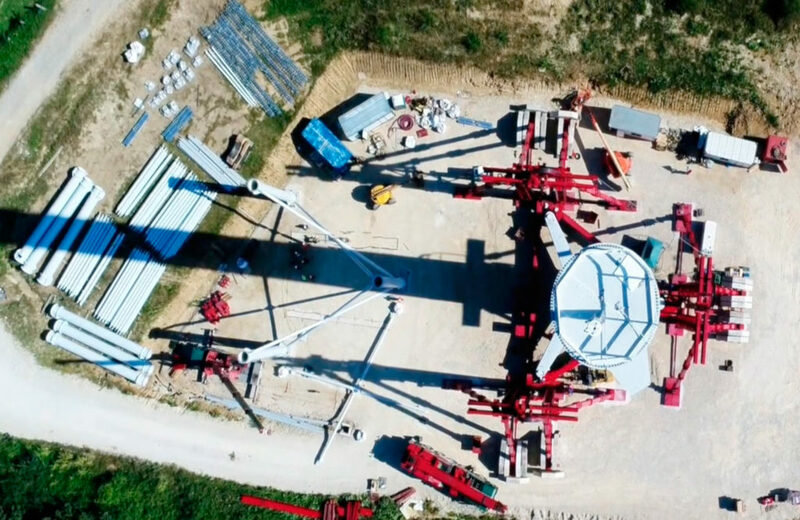 The tower transition is fixed on the foundation, and after the tubular tower section, the nacelle and rotor are installed with a small standard crane. 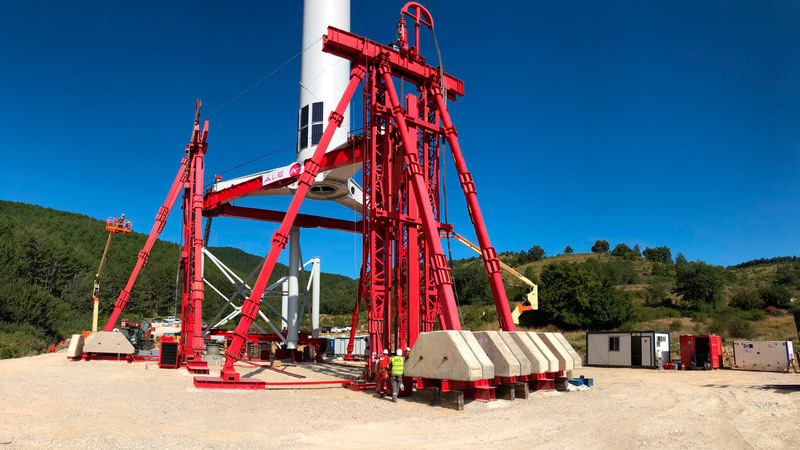 Then, the Self-Erecting System (SES) is installed on the tower foundation, and one erection cycle is repeated for every frame module: the SES jaws clamp the tower, which is detached from the foundation and elevated. Then, the frame module is guided and fixed to the foundation interface. 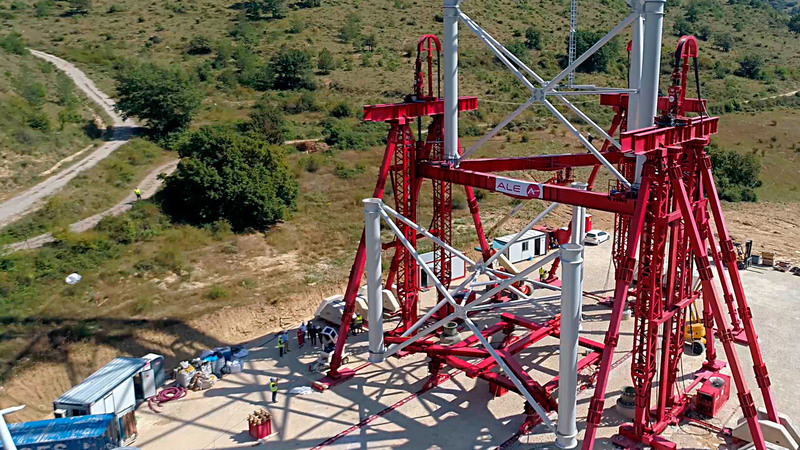 The tower is then lowered and connected to the new frame module. 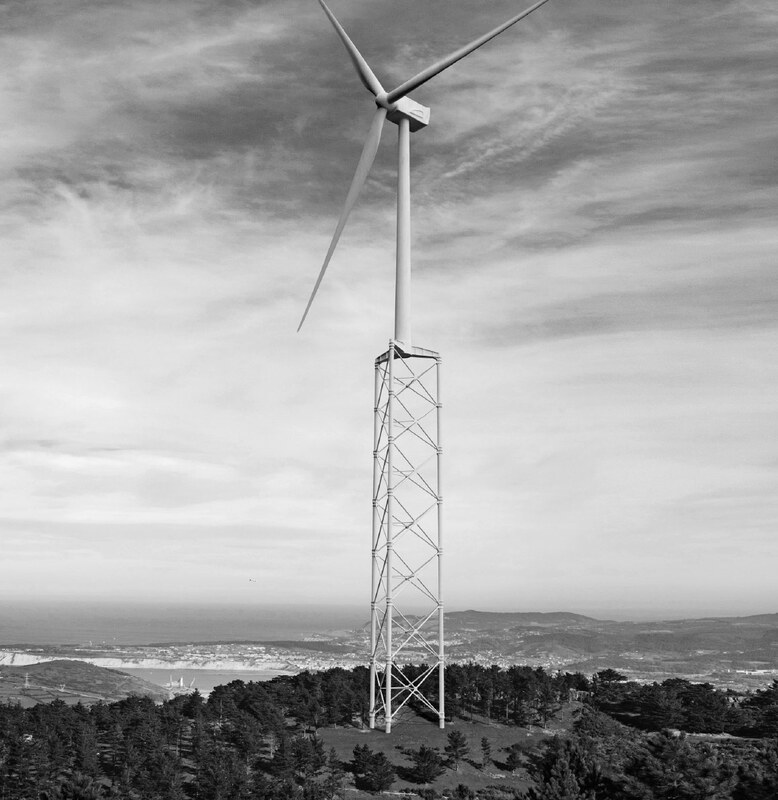 SES is designed to operate in high wind wind conditions (up to 15m/s), avoiding inoperative time periods in the WTG assembly. 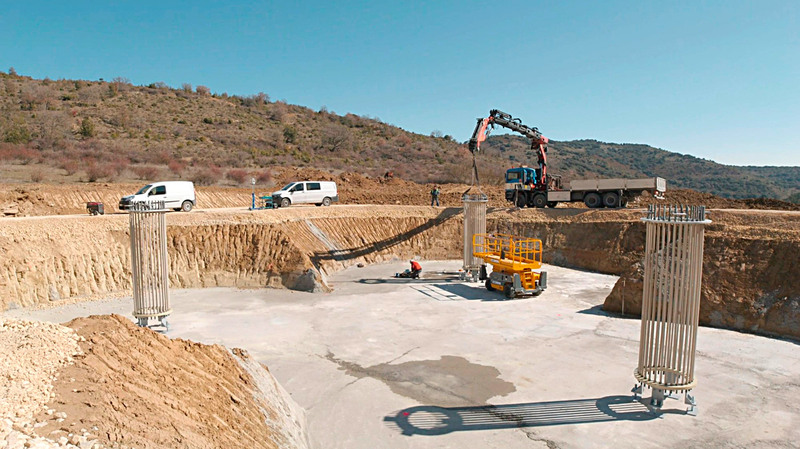 Tower full-cost (also including foundation, logistics and installation) is reduced by a 15/30%. 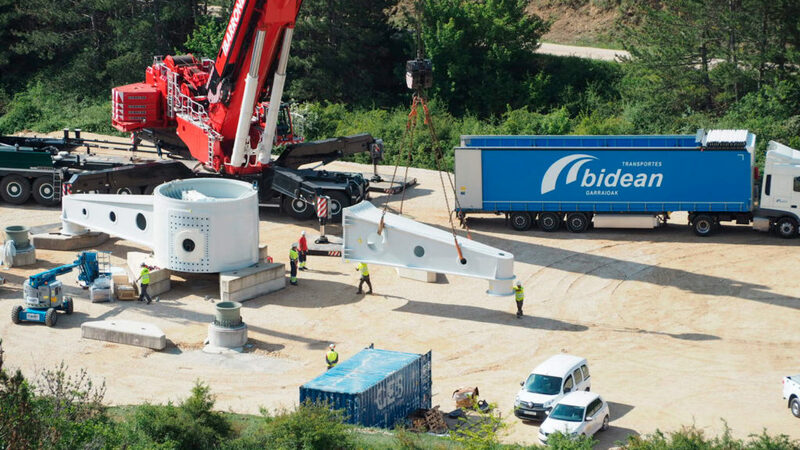 Self Erecting System avoids using large-size cranes regardless of the final hub-height. 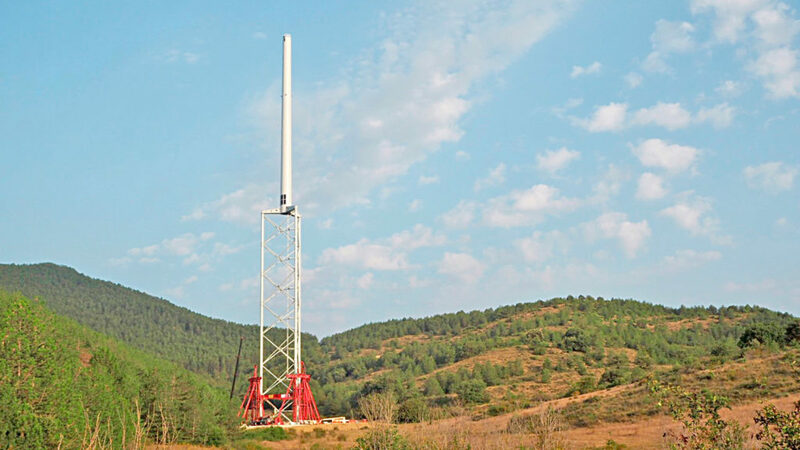 A 150m tower can be installed in 3 days, even in high wind conditions. 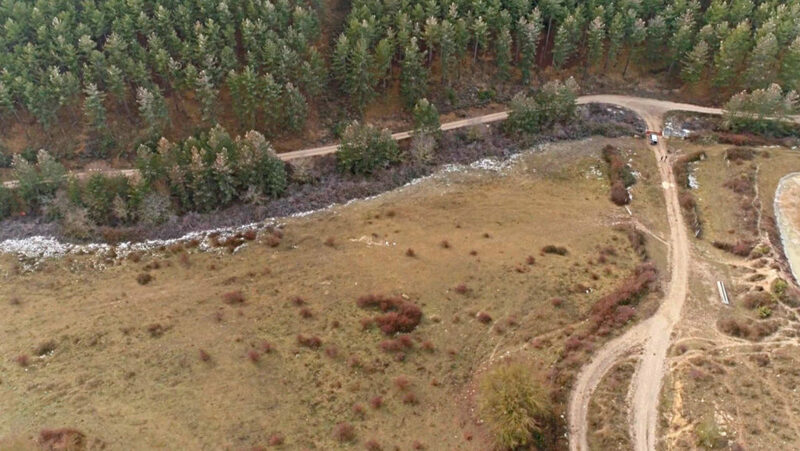 Nabralift is a very stiff tower that do not require relevant modifications in the existing WTG design. 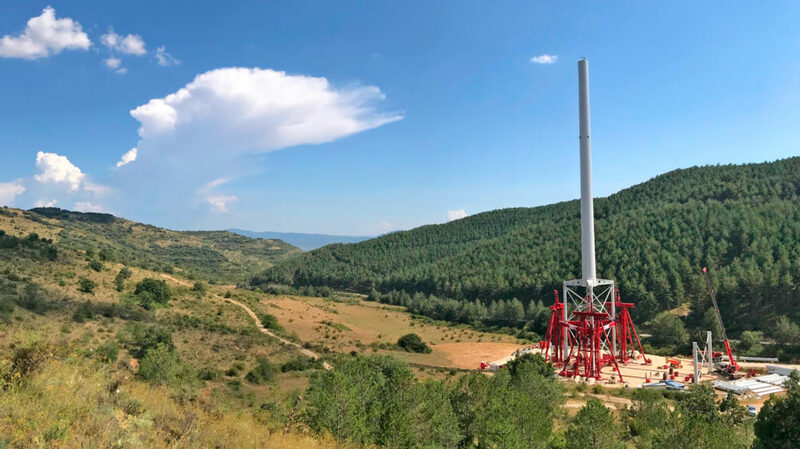 Nabralift has been highlighted by MAKE Consulting as one of “the technologies capable of revolutionising the wind power industry“. Nabralift first prototype (160m hub height)has been already constructed in 2018 and will be installed during 2018 in Eslava (Spain). 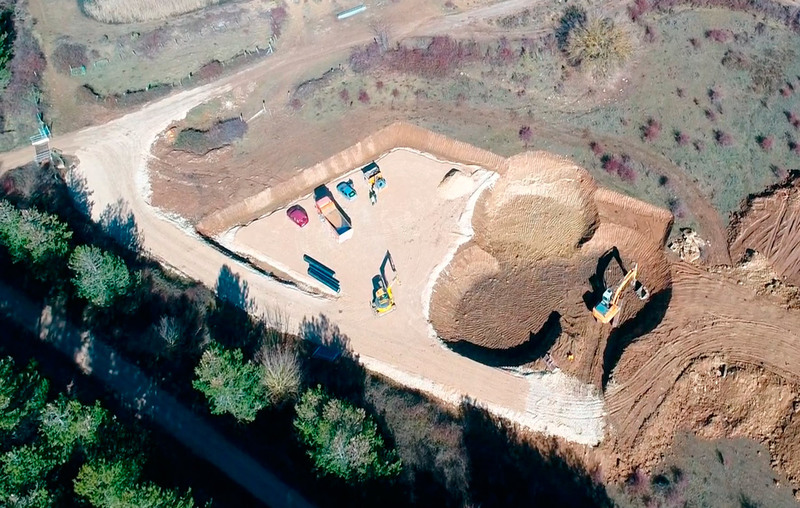 The tower prototype will be tested after erection to demonstrate 25 years of operative life. For this purpose, several millions of load cycles will be applied in an innovative fatigue tower test method. 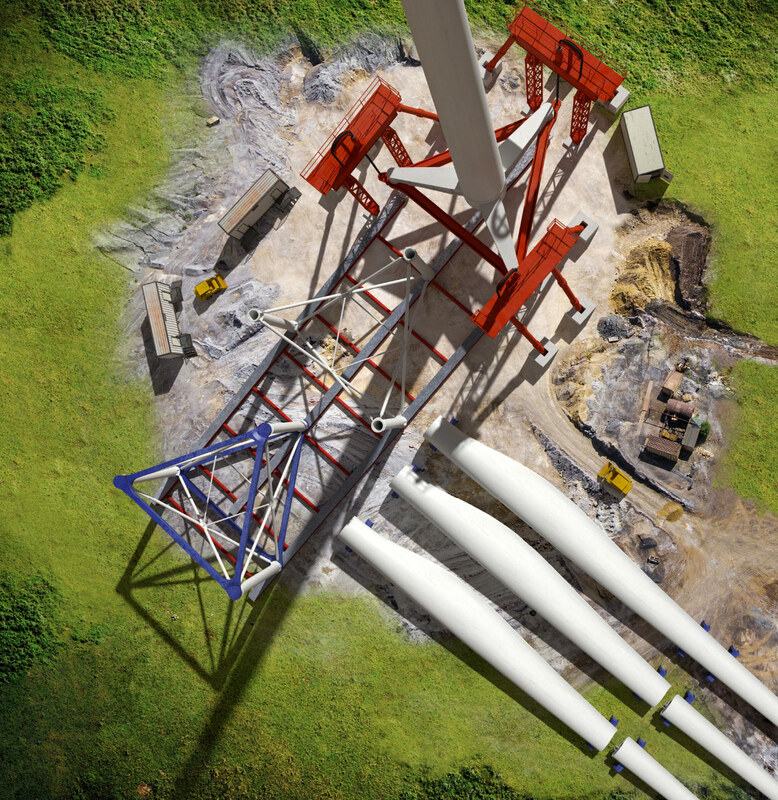 Nabralift 160m height prototype will be the second highest wind turbine tower in the world.